Andy Summers rose to fame in the early 1980’s as the guitarist with the multi-million record selling rock band The Police. The Police were the number one band of the time and dominated the music scene and the media in the eighties with several number albums and singles including Every Breath You Take, Roxanne, Don’t Stand So Close to Me, Every Little Thing She Does Is Magic, Invisible Sun, and Message in a Bottle. The band was the recipient of several Grammys and awards too numerous to mention. 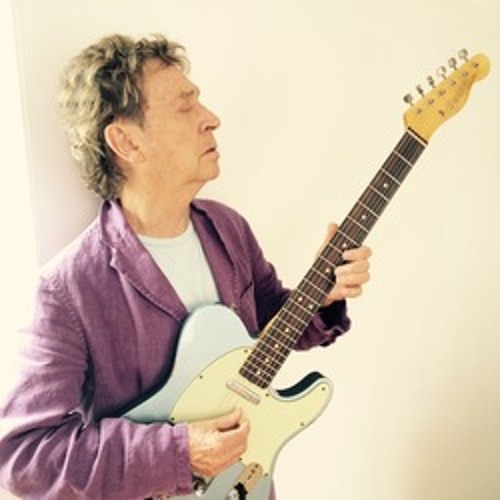 Andy Summers innovative guitar playing created a new paradigm for guitarists in this period and has been widely imitated ever since. Prior to the Police Andy Summers played with various bands in the London scene including the Soft Machine, Kevin Coyne and also Kevin Ayers. Post Police Andy has made thirteen solo records, collaborated with many other musicians and toured the world as a solo artist. In addition he has composed film scores, and along with many photo gallery exhibitions published books of his photography. In 2006 his autobiography One Train Later was released to great success and was voted the number one music book of the year in the UK. The film Can’t Stand Losing You based on the book saw it’s theatrical release in the US by Cinema Libre in March 2015. The DVD of the film will be released on July 14th 2015, along with Andy’s latest CD - Metal Dog. Recent projects include the record Circus Hero from his new band Circa Zero released in April 2014, touring in Brazil with Rodrigo Santos and scoring music for the Turkish film And the Circus Leaves Town. Current photo exhibition have been at the Leica gallery in Los Angeles, Paris/LA Independent Photo Show, Kunst, Licht gallery in Shanghai, CCC Gallery in Beijing and Photokina in Cologne, Germany. Upcoming photography exhibitions are scheduled for August in Sao Paulo Brazil and Rio de Janeiro with Globo newspaper. Andy is in the Rock and Roll Hall of Fame, the Guitar Player Hall of Fame, has the keys to New York City! He has been awarded the Chevalier De L’Ordre Des Arts et Des Lettres by the Ministry of Culture in France.